I understand that there are a lot of angry people out there. A lot of people who are desperate for change. People who were desperate for change in 2008 and 8 years later are still desperate. Desperate enough to vote someone in with zero experience and spewing a lot of hate. I watched msnbc all last night. And as I said yesterday, I’m a Proud Independent. Very early in this Presidential Election season, I was hoping for a good Republican Candidate. As my Grandma taught me, every 8 years you need to pull the old crooks out and push the new crooks in. 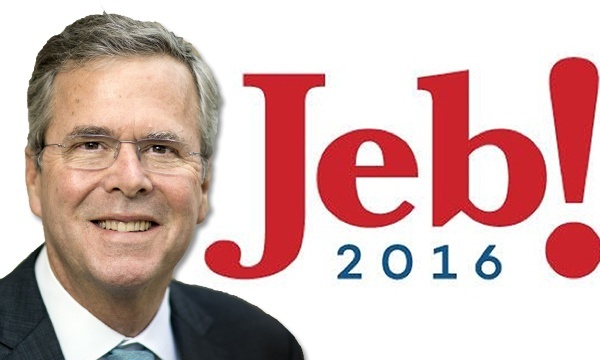 And I did like Jeb! but unfortunately he was the right Bush at the wrong time. I was mostly disappointed in the Republican Party, they had 8 years to groom a decent candidate and their Primaries were a complete mess. Throughout this whole election process, my friends mocked Trump…but I was silently fretting. I knew in my gut to be fearful and not cocky. Especially while SNL was joking about how sure they were that Hillary Clinton was going to win. I’m not trying to be Captain Hindsight here, but I knew that people underestimated the Angry White Vote. I’m honestly scared of a Trump Presidency. I’m scared as a woman and as an Army Wife. We can’t afford to go back. it’s disheartening to see how stubborn people are. All I can say is that I’m hopeful things will change for the better. But with a Republican back in the White House, I don’t see how it could happen. Pull women out of the workplace? Silence Black people? Wall up our borders? Deny marriage to our Gay/Lesbian couples? Deny the LGBTQ+ community basic human rights? Bring back coat hanger and back-alley abortions? Go back to when it was perfectly acceptable to litter? Has everyone forgotten how bad things were 8 years ago with the economy? There are issues here that are too important to flip-flop. There are issues here that we shouldn’t be arguing about. Gay Marriage. Abortion. These are basic human rights that should be left up to the person. If I can’t have Religion in schools than what is Religion doing in my healthcare and in politics. I wrote the above last night while I was waiting for the polling results and the below I wrote this morning. Last night I was trying to be positive and open-minded. Today, I feel this overwhelming sense of anger, frustration and a little fear. Fear of the unknown. I’ve always said that I would support my President no matter what. as a country we should forget party lines and support our leader. And so far, I’ve done that. I supported Bill Clinton, even through his scandals, I supported George W. Bush, even while everyone called him stupid and unfit for the Presidency and I supported Barack Obama, even while the majority of the people I knew thought he’s been useless. I supported them all because they were our Commander-in-Chief. but this year, these next four years, I don’t think I can honestly do that. I need to be patient and see. How is Trump going to Unite our country? I’m an Optimist but I’m Not stupid. He’s a major reason for this divide. I hope that I’m wrong. That all my #ImwithHer friends are wrong. In fact, I hope we’re all wrong. I hope he doesn’t fulfill all the hopes and desires and needs of all his racist, sexist, homophobic, narrow-minded followers. I hope that he’ll stop spewing so much hate and stop being so vulgar and garish. and that he’ll be the Best President we ever had…because we REALLY NEED it. I don’t want to lower the bar and that’s all I can see with a Trump Presidency. I know I’m ranting here and I’m probably a day too late but I don’t usually talk about controversial topics. I don’t like to ruffle feathers or make people feel uncomfortable. But seriously, screw that. Why be polite to people who are anything but. and here’s one to inspire you. Thank you, Hillary, for Inspiring All of Us. I really do hope that I’m wrong.